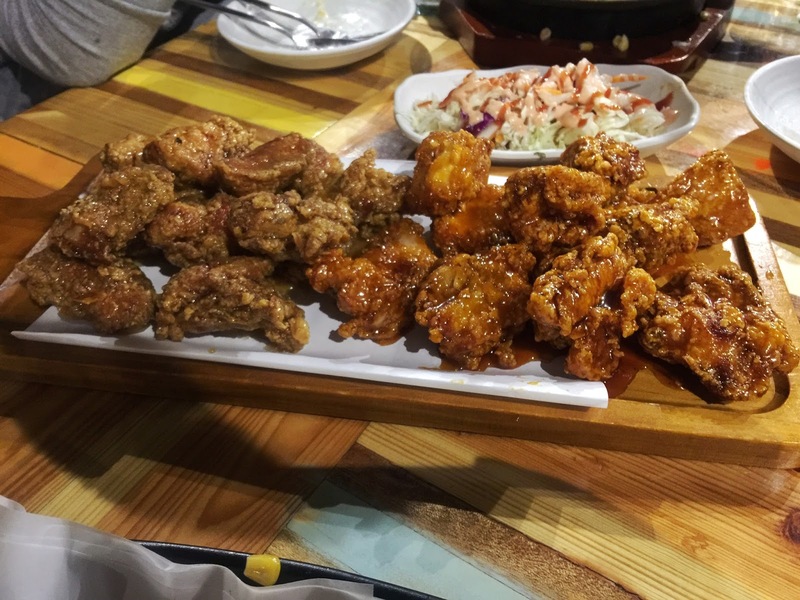 The Korean Fried Chicken game is still going strong. Getting back onto the friend chicken wagon, my family and I finally tried Gami. We came here on a Saturday night and were fortunately seated immediately, although a moment later and the story would've been quite different. Either way, my hangry stomach was ready for a big deep fried feed. For starters/entrée we ordered the Gami chips. We were all very impressed by the description on the menu. These chips have undergone extensive fancy cooking, being sous vide-d. Well, they don't look too fancy, but they tasted fancy. 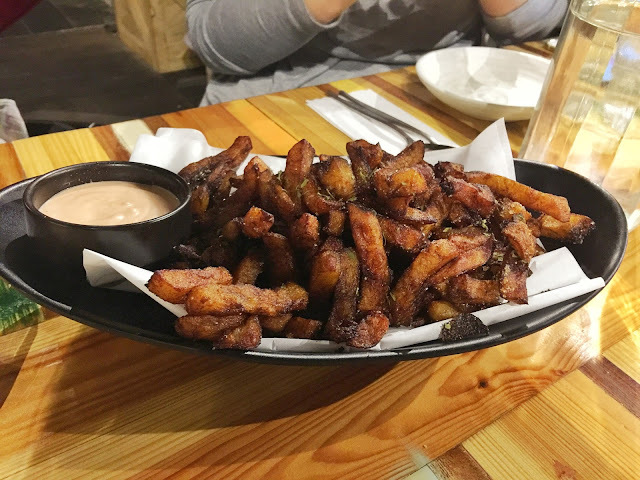 The flavour was truly unique and the texture wasn't crispy, but didn't lack texture. 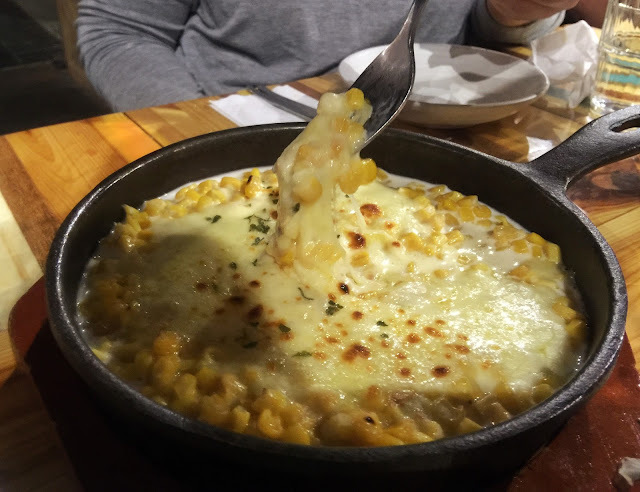 My sister insisted on ordering the corn cheese and so we did. 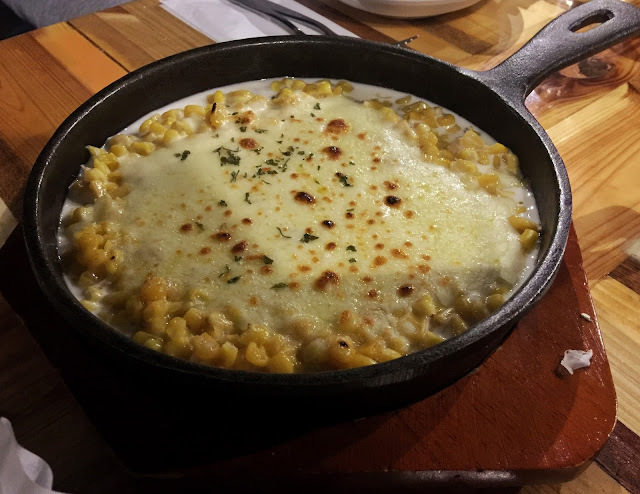 We weren't blown away by this dish as we were by the Gami Chips, but who doesn't love mounds of melted cheese with sweet corn running through it? We certainly do! Then the piece de resistance. 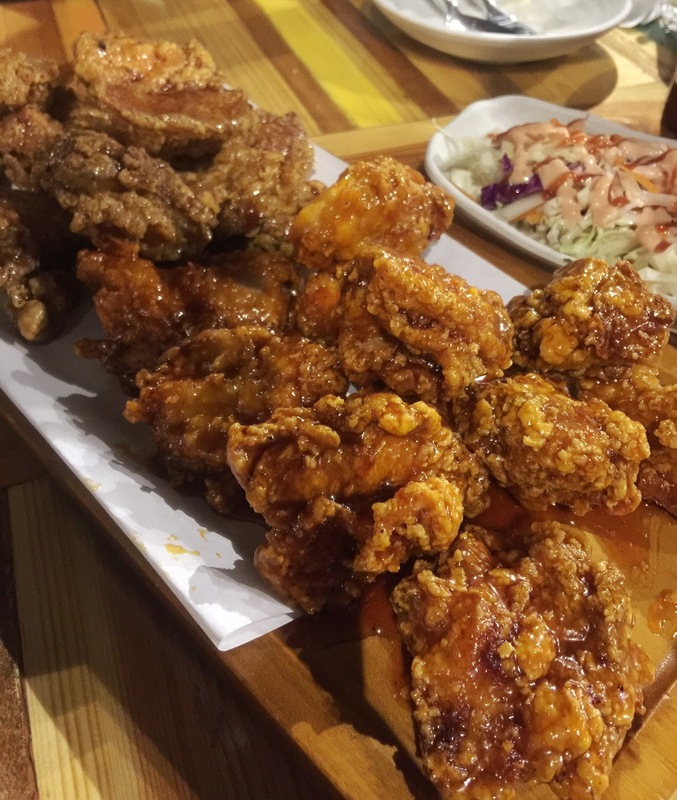 I love that Gami offers boneless chicken, no fuss, no mess, just tasty crispy chicken. These are one of my favourite Korean Fried Chicken so far! The flavours are strong and tasty, the skin is smothered with sauce, but still holds its crispiness and the meat is still tender and juicy. Definitely a good guilty pleasure dish! It took me way too long to try this place, but really glad that I have now! Disclaimer: Restaurant information and prices were true and correct on 23 Apr 2016. Prices inclusive of 10% GST. 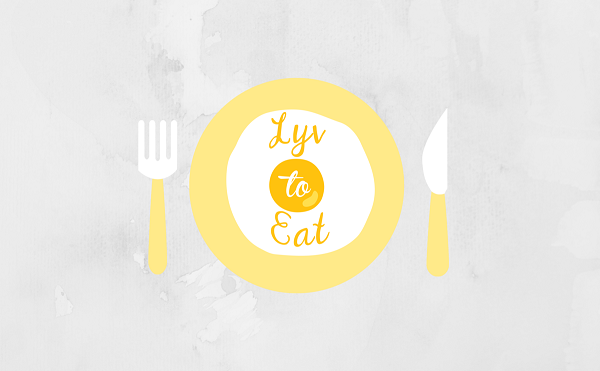 So good to be back blogging! After a few months of stressfully planning a wedding then a couple of weeks of taking family around Perth, Mr. T and I have finally settled into being married. Then I seized my first day off by asking Miss. D out to lunch to Silver Sushi! I've been wanting to try this place, but they're always so busy, so when someone posted on Facebook that Silver Sushi has opened a branch and it was still quiet, it definitely moved up to first place on my "to-go" list! Miss. D and I came here on a Monday for lunch and at first we thought it was very quiet, but after only 10 minutes the seats filled up and they were swamped with take away orders! Looking at their menu, everything looked appealing and we definitely ordered too much food for two. We ordered three Uramaki dishes that had eight pieces of sushi each. Even the waitress had to confirm that we were sure we were going to order so much food! Everything we ordered was delicious! The kani cream korokke was very creamy and crunchy, it made for a great start to our meal! Out of the three sushi dishes, the salmon katsu roll was favourite, it had so many textures and flavours, each bite was like a party in my mouth! We also loved the salmon bloom roll, especially the thick salmon sashimi pieces on top! Silver sushi was definitely worth the wait and I'm sure their new branch will be swamped in no time! I suggest you get in quick!